Antibiotics (the chemically produced kind) have been in the news lately because of their tremendous overuse and over-prescription by doctors. Drugs that used to be standard treatments for bacterial infections are now less effective or don't work at all. When an antibiotic drug no longer has an effect on a certain strain of bacteria, those bacteria are said to be antibiotic resistant. 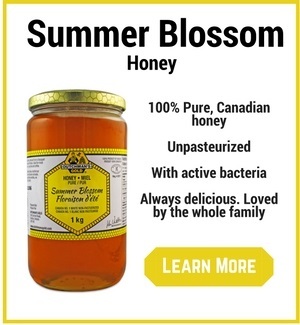 Fortunately, honey has natural antibiotic properties without any of the negative side effects of the synthetic versions. In addition, it doesn’t appear to be susceptible to resistance by bacteria meaning you can continue to use it over time. The antibiotics that you get from your pharmacist also create one other serious problem. They wipe out your ‘good’ bacteria along with the ‘bad’ bacteria that caused the infection. The good bacteria or ‘flora’ are a vital part of your immune system. Each time you use a standard antibiotic and don’t replenish your ‘good’ bacteria, you lose a piece of your immune system, making you more susceptible to invaders in the future. Honey has been used for centuries as a natural antibiotic to keep wounds clean and free from infection. 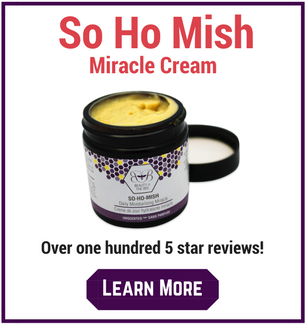 It has healing properties that have long been documented and was used in ancient Egypt and ancient China for treating everything from cuts and bruises to illnesses like sore throats and stomach aches. Clearly, if honey can dramatically accelerate wound healing, there is more to this sticky substance than just sugar. Does Honey Work as a Natural Antibiotic? The scientific community has awoken to the potential of honey and there is now a great deal of scientific evidence indicating that honey has natural antibiotic properties. The healing properties of honey can be attributed directly to honey bees and the enzymes the bees use to ‘process’ the honey. These enzymes have been studied and have been shown to contain similar properties of antibiotics. The main enzymes in honey are invertase (saccharase) and diastase (amylase) which are introduced to honey by bees. Their presence in honey vary depending on several factors including the nectar composition and concentration, and the age of the bees. Another enzyme that goes into honey during nectar processing is glucose oxidase which produces the antibacterial, antimicrobial hydrogen peroxide. Different ‘probiotic strains’ are also produced. Probiotics are the opposite of antibiotics. They support life and health and are the same substances found in yogurt and other fermented foods like kefir and sauerkraut. 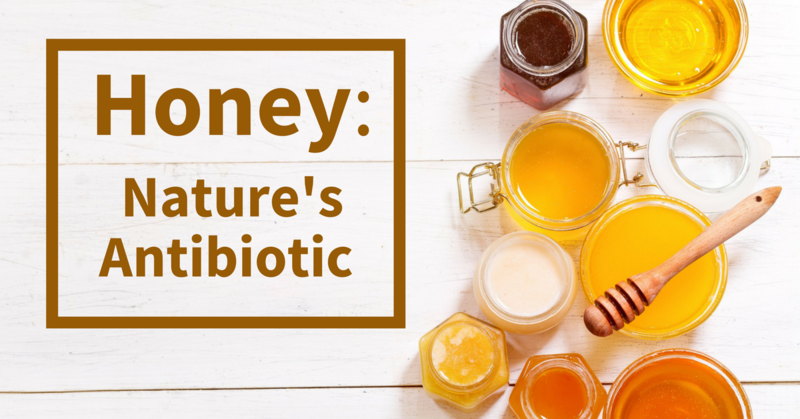 A recent study identified 32 different probiotic strains found in commercially available honey (acidophilus is the most common probiotic sold today). In the study, a total of 32 lactic acid bacteria were isolated from 13 honey samples commercially marketed in Malaysia. Six of the strains were identified as Lactobacillus acidophilus. In another study, researchers at Lund University in Sweden detected 13 bacterial components in honey. The lactic acid bacteria - which live in symbiosis with bees in their stomachs and appear to be involved in the production of honey - produce a range of antimicrobial compounds. The bacteria are present in large amounts in fresh, untreated honey. This is very important to remember - these ‘probiotic bacteria’ are killed by heat (pasteurization). To obtain the benefits of these bacteria, you must use honey that has not been heated. These unique probiotics found in honey allow it to fight bacterial infections on many different levels unlike commercially produced antibiotics. We know that honey contains these health compounds. But do they work in humans? This study suggests that they do. In a double blind, placebo controlled study published in the Journal Pediatrics in August of 2012, it was found that 10 grams of honey produced faster and more profound improvements in children with upper respiratory infections and coughs than a placebo over two nights. Participants included 300 children aged 1 to 5 years with URIs, nocturnal cough, and illness duration of more than 7 days. 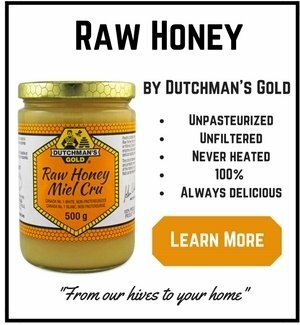 To obtain the antibiotic benefits of raw, unprocessed honey, you can simply consume 10 grams per day by teaspoon. Don’t mix it in boiling hot water or you risk killing the delicate probiotic bacteria that produce the antibiotic effect. If you come down with a very stubborn bacterial or viral infection, consider this well known honey-based antibiotic potion. I have used this recipe, which I have altered slightly to include my recommended best practices and ingredients, with great success. It makes a jelly like paste. It is quite hot to taste due to the chili peppers. If you need to administer this recipe to children, reduce the amount of chili peppers, increase the honey content and even the cinnamon to make it more palatable. Add the crushed garlic, ginger powder, chili powder and cinnamon to the lemon juice. Mix all the ingredients together with a whisk and add the raw honey last. Let the syrup rest for 3 -5 hours at room temperature. Once opened, keep the syrup in a closed glass container in the fridge. Every morning on an empty stomach, take 1 tablespoon of the syrup to strengthen your immune system. If you are fighting an infection or cold or even a virus (this preparation is anti-viral as well), take 1 tablespoon of the syrup three times a day on an empty stomach.